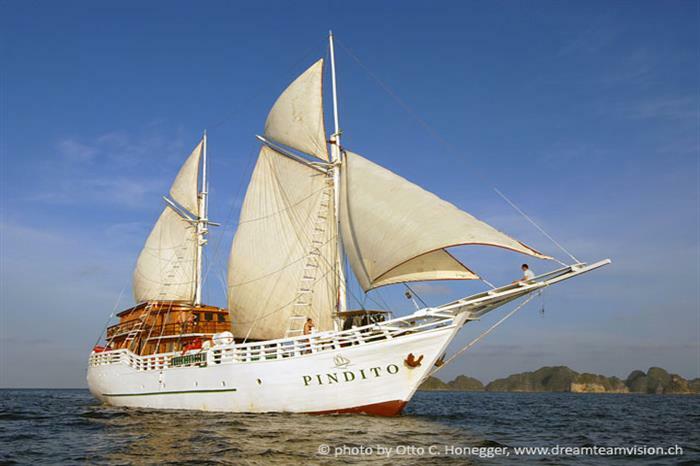 Go onboard MV Pindito and cruise the Indonesian sea to witness the stunning scenery from a traditionally built liveaboard vessel. 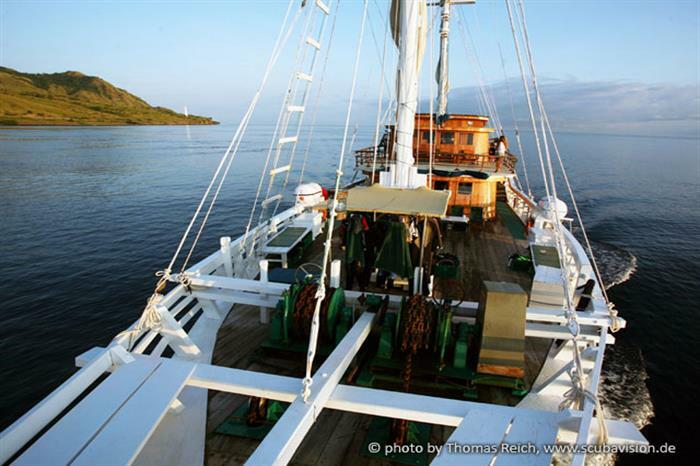 Cruise the Irian Jaya and the Komodo National Park. 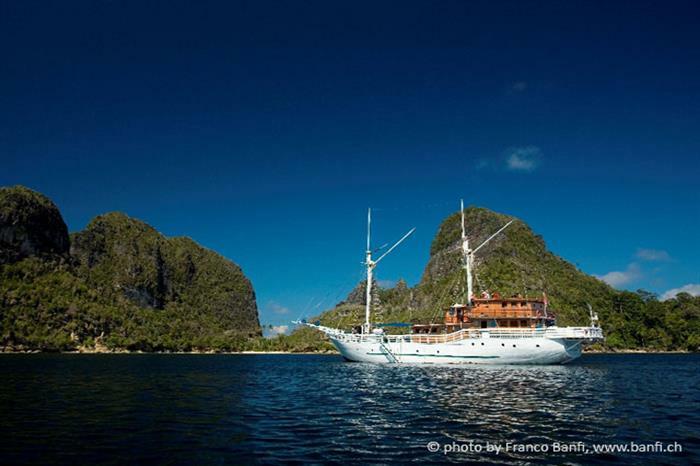 You get to experience the unparalleled beauty of the lush dive sites and the remote Nusa Tenggara Isles or Irian Jaya. 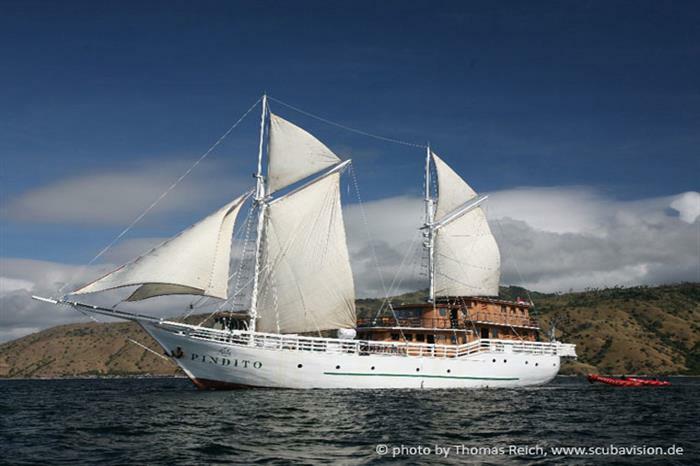 With more than 15 years of cruising in these waters and maintained using top standards of reliability and safety, the Pindito offers a once in a lifetime experience of Indonesian comfort and ambience. 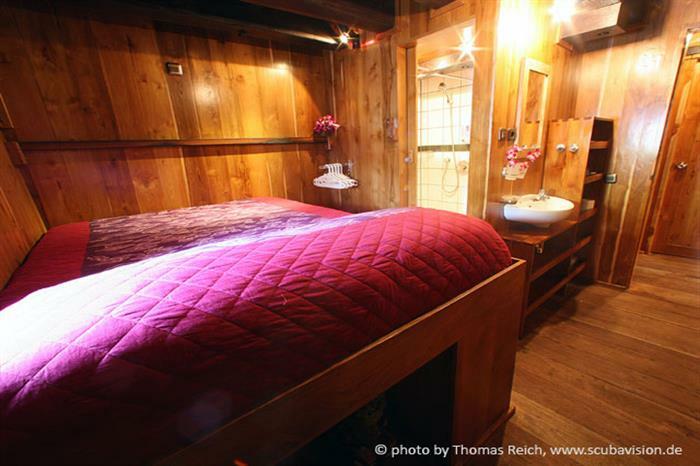 Wide cabins feature individual air-conditioning, charging outlets, washbasins, and a bathroom. There a place to relax in the air-conditioned lounge and for photographers/videographers, there is a computer onboard. 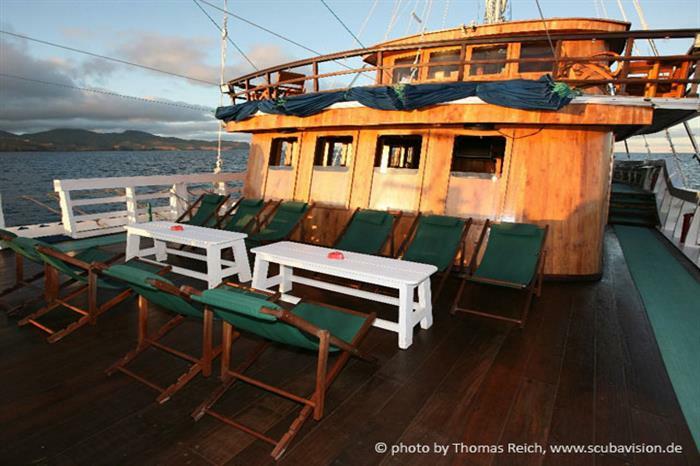 A light breakfast is dished up before the earliest dive, and a buffet breakfast after. 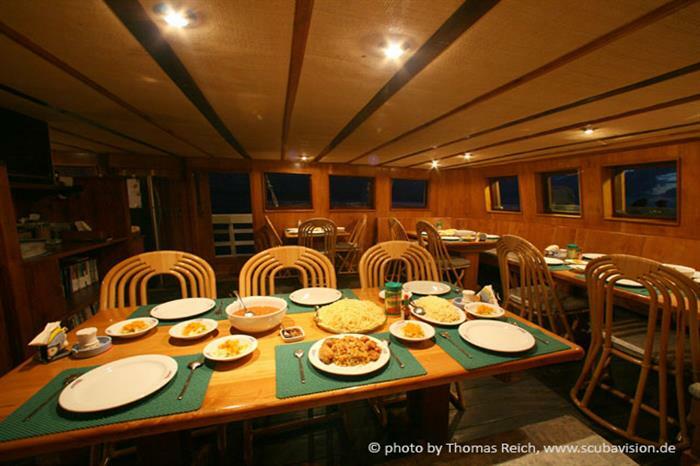 The lunch and supper onboard is a highlight – the dishes served are international cuisines with Asian and Indonesian influences. Cakes, coffee, tea and soft drinks can also be availed throughout the day. For the final dive, complimentary drinks are served. At the guest’s choice wine can also be ordered at an additional cost. 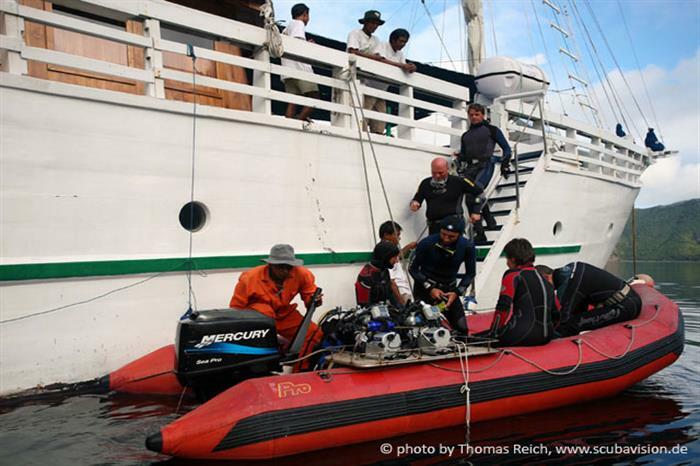 Every dive is guided by a professional diver for ease and safety. The guide also is intended to meet everyone’s requirements and preferences. 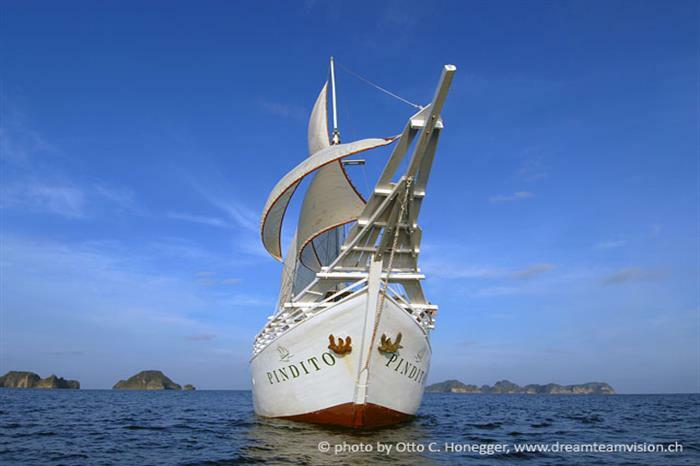 Over its past 12 years of operation, Pindito has a 100 percent safety report and offers an wide range of diving equipments including a Nitrox-Memberan-Filling station, 2 Bauer compressors, 3 Zodiacs, 40 ten-liter tanks and monoplugs (DIN/INT). Four daily dives are common, dependent on the weather. The last dive of the day is an exciting and pleasant one. 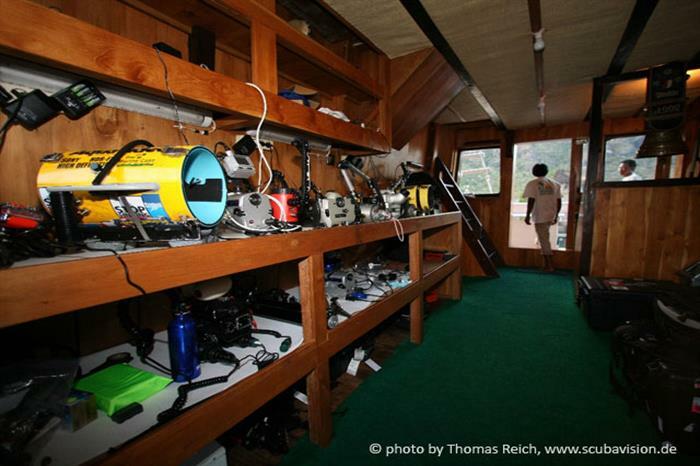 The crew members are ready to assist to bring the equipments to the Zodiacs, which go with you during the dives. 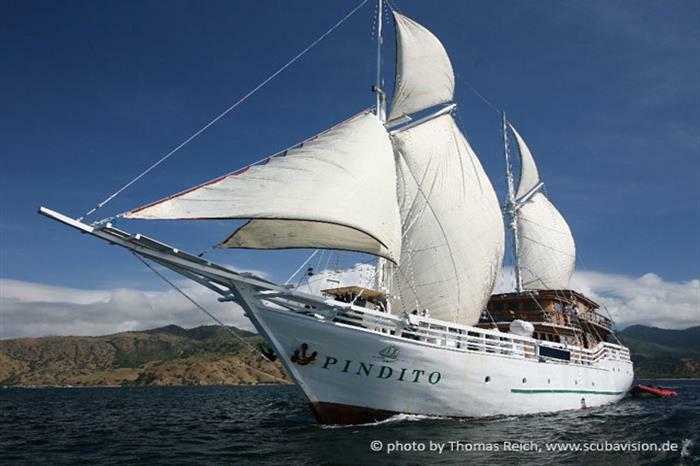 Should there be a need for you to have a break, the Pindito can organize inland activities or massage sessions in our onboard spa. 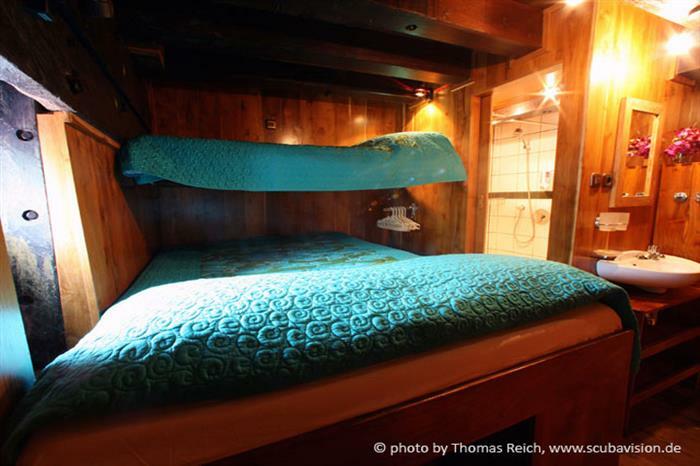 All of our double cabins feature individually controlled air conditioning, as well as ensuite heads appointed with a shower, washbasin, and toilet. We will happily add an upper bunk to accommodate a family with one child or two people who just want an extra surface on which to place their gear. 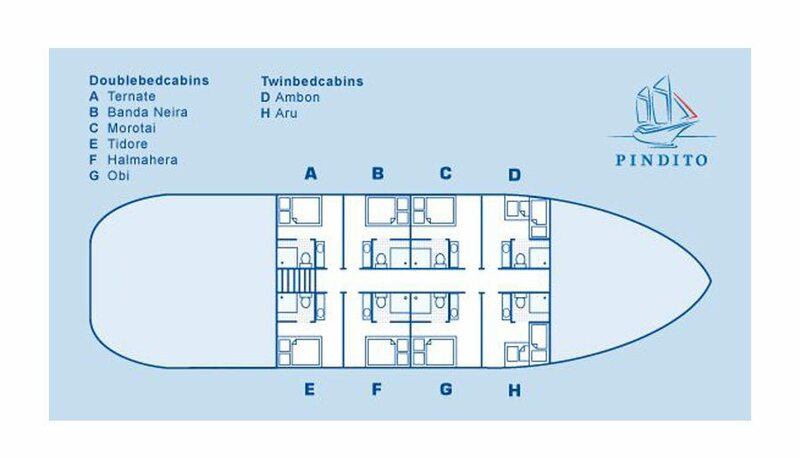 The twin bedded cabins “Ambon” and “Aru” are named after the islands in the Maluku region. 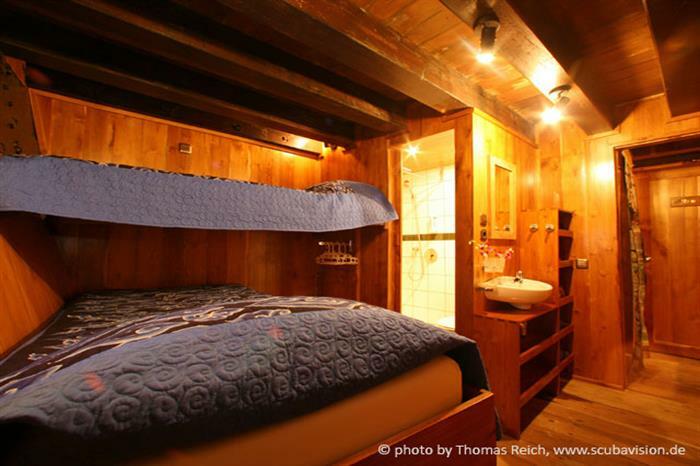 Our cabins with one twin bed and a bunk offer more floor space than double cabins. 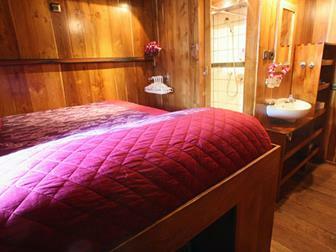 Twin cabins are ideal for single guests — there is no surcharge for booking half a twin cabin. 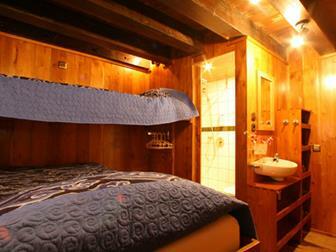 Twin cabins also have ensuite heads appointed with a shower, washbasin, and toilet. 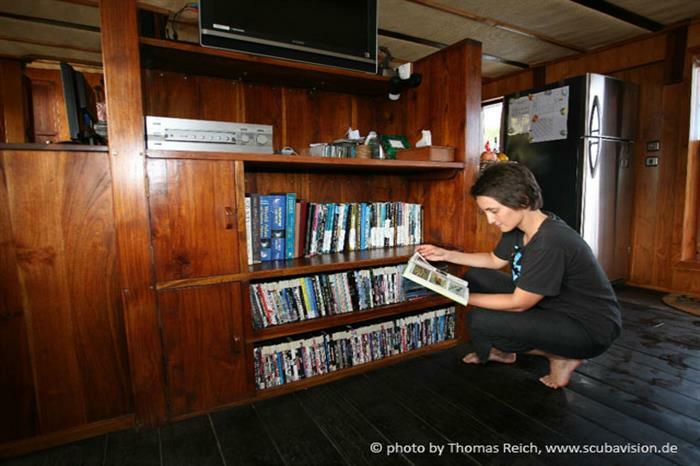 The liveaboard crew speaks English and Indonesian.